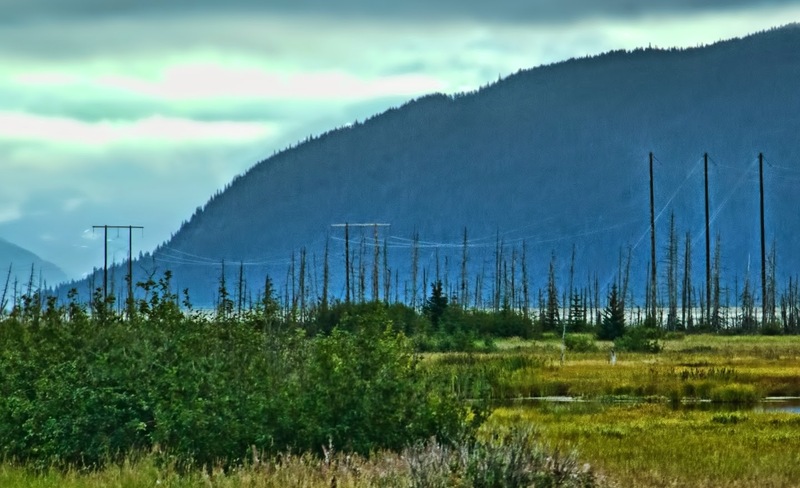 Just below Anchorage, I started noticing these stands of dead trees along the water (we were whipping along the highway at the time, so I don’t have any clear pictures.) They were an eerie anachronism in such a lush, brilliant setting, spikes of withered branches amid the curves of the mountains and glaciers and waves. 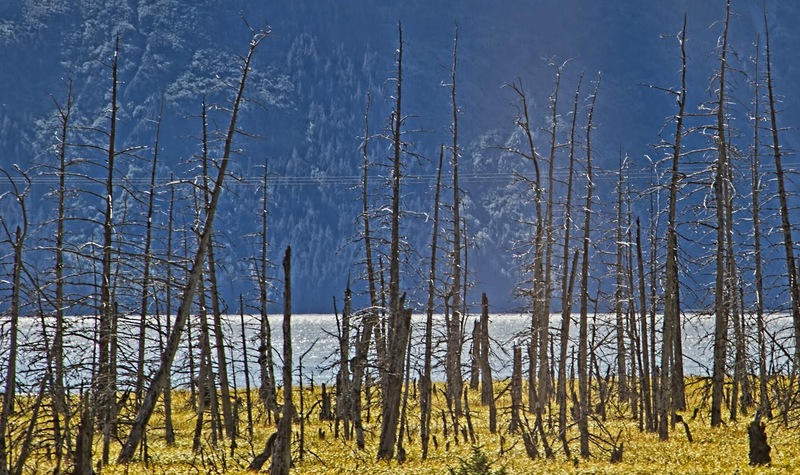 They’re called the ghost forests, and they’ve been there since the 1964 Good Friday earthquake, the strongest ever recorded in North America. The land along Turnagain Arm, including a section of the highway we were on, sank six to nine feet. Two coastal towns, Portage and Girdwood, were underwater at high tide afterwards. Portage was abandoned; Girdwood, which is where we’re staying, was moved two miles inland and rebuilt. Salt water killed the trees, but ironically, also preserved them, so they still sit along the coastline fifty years after the earth sank beneath them -- strangely beautiful, haunted, sad.